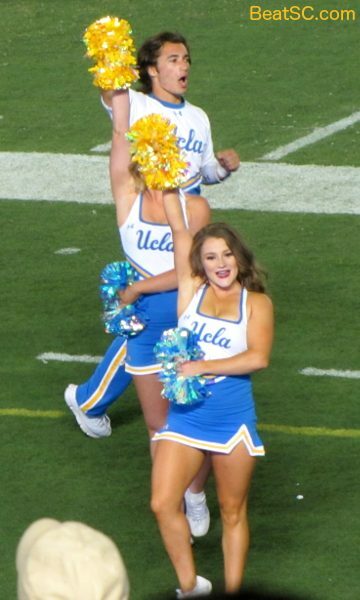 The Bruins had lost all 5 games this year, and had lost 12 straight Road games, but on Saturday, they finally put all that behind them, with a convincing 37-7 triumph over the Cal Golden Bears. The road to respectability was long and hard, but the signs were there. Starting Running Back Joshua Kelley had run for over 100 yards in each of the last two games, and last week, that led to a tight contest against Nationally-Ranked Washington. 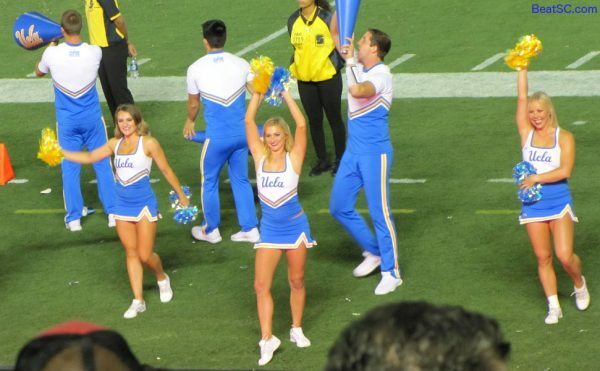 The improvement finally got the Bruins a W, as the UCLA Offensive Line opened many running lanes for Kelley on Saturday, allowing him to amass career-highs of 157 Yards and 3 Touchdowns. 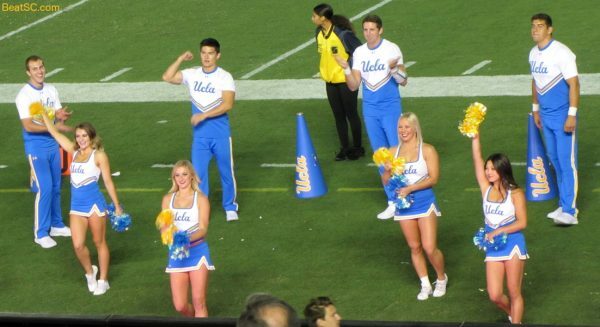 The Bruins took a 7-0 lead, and with 2 Field Goals, were up 13-0 at the intermission. 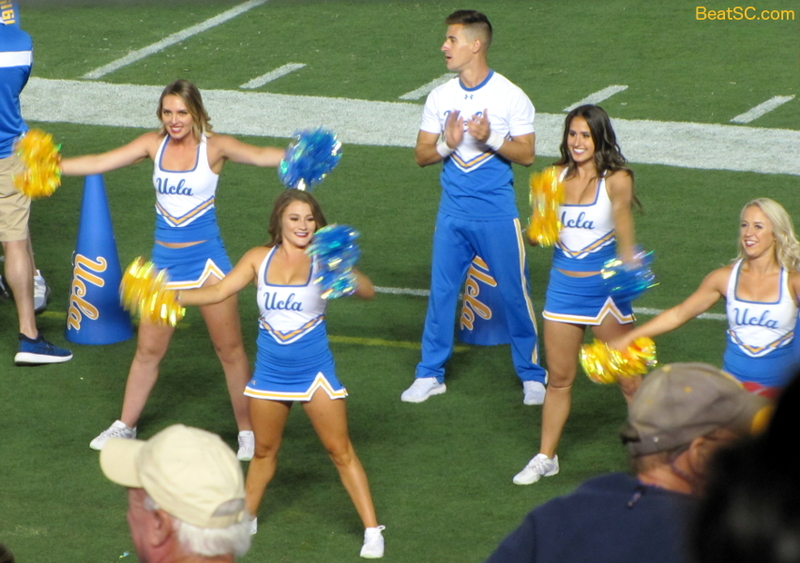 Cal finally scored in the Second Half to make it 13-7, but the Bruins then created several Turnovers and rolled on to score 24 straight points. 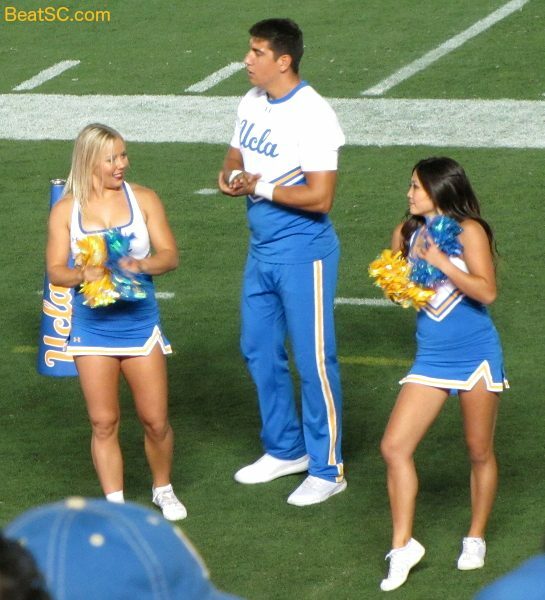 The UCLA Defense rattled the Cal QB, Picking him twice, and causing a couple of Sack-Fumbles, one of which Keisean Lucier-South scooped up and returned for a TD. Lucier-South also got one of the INT’s. He and Krys Barnes were the main factors in Cal’s Offensive woes, along with Adarius Pickett, who led the team with 9 Tackles and also recovered a fumble. On the Offensive side, it was mostly about Kelley, who is getting better and better. His instincts to find small holes and exploit them is the key. 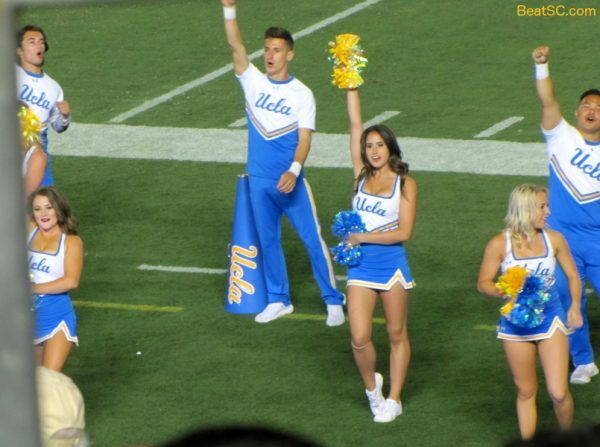 The Bruins’ success with the Running Game is allowing Quarterback Dorian Thompson-Robinson to be much more effective than earlier in the year. DTR was VERY efficient on Saturday, going 13-15 for 141 and no Turnovers. 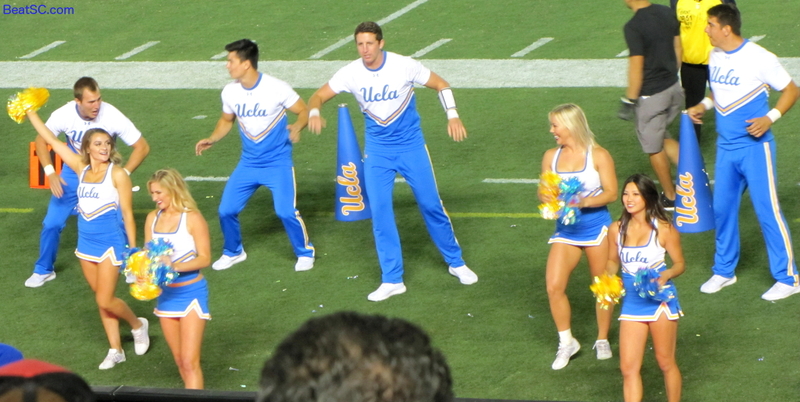 Of DTR’s 141 yards Passing, 92 of them went to Tight End Caleb Wilson, on 5 Receptions. DTR also ran for 49 yards (not subtracting the 22 yards lost via Sacks). The Bruins are finally looking the way they were expected to look at the BEGINNING of the Chip Kelly Era. I am surprised that it took so long, but now that the team looks more organized and disciplined (only 4 penalties, for just 30 yards), the future is starting to look brighter and brighter. 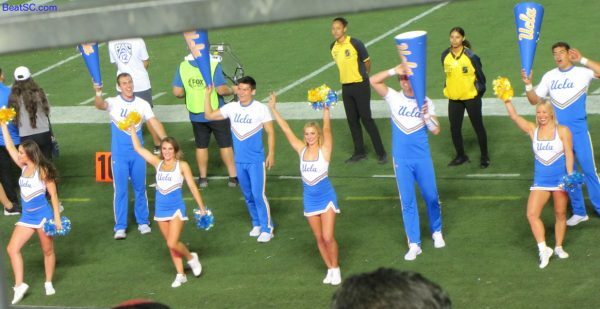 Speaking of bright, here are 51 photos of some of the brightest, most wonderful people I have ever had the pleasure of meeting… The UCLA Spirit Squad. 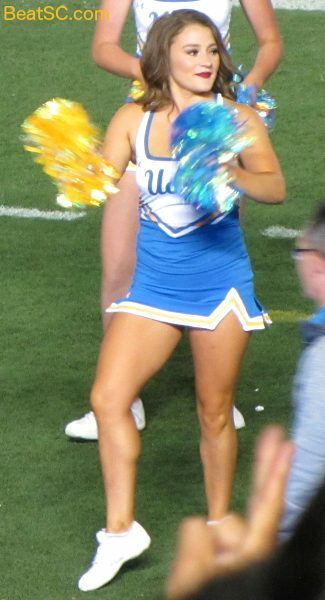 "KELL’ RUNNINGS" was published on October 13th, 2018 and is listed in Blue & Gold News, UCLA/usc/Cheerleader Photos.